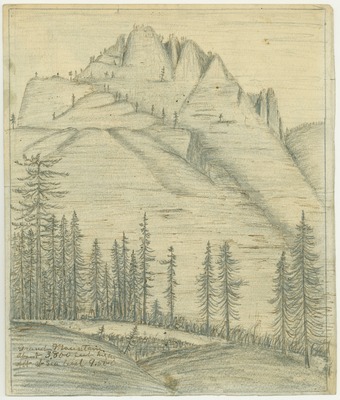 Studio copy of field drawing adapted from 1872 journal, pages 28 and 29. Probably prepared to illustrate proposed book on Yosemite Alps. Drawing, probably of Muir and others at Waterwheel Falls, on verso.